Coming in a high quality box. Available in polished brass, polished silver or premium silver. Production and shippingtime may vary between 15 and 30 days. 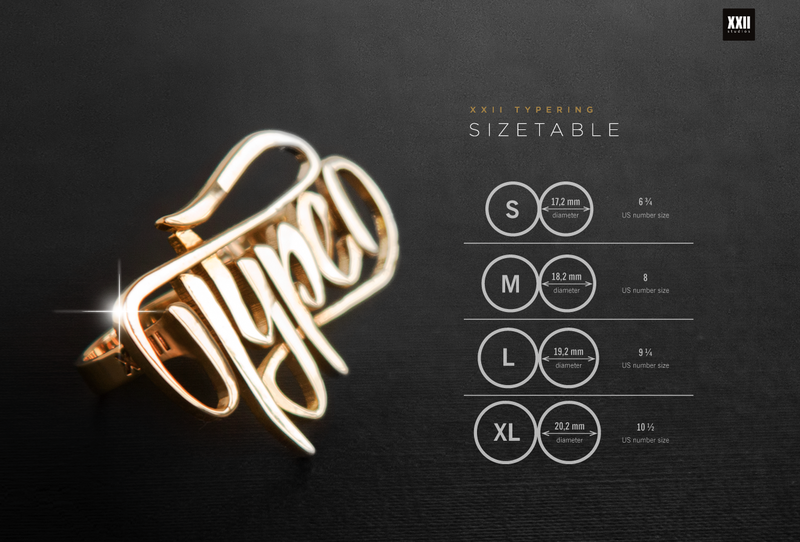 Check ringsizes from this sizetable. And choose your size and material below. What font is the ampersand from? It’s from our lovely XXII Yonia.